Lovely handmade porcelain vase. Its crackled celadon design together with the wonderful blue color and straight neck an absolute one-of-a-kind vase that looks gorgeous in every house! A wonderful handmade porcelain vase. 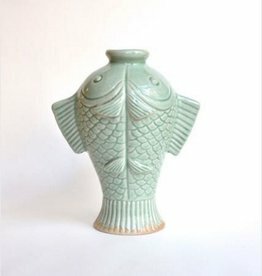 Its rare fish shape together with its special green color and crackled design, this vase is an one of a kind and a beautiful addition to everyone's interior. A wonderful handmade porcelain vase. 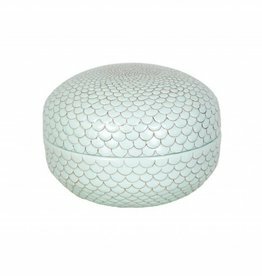 Its rare shape together with its special green blue color and crackled design, this vase is an one of a kind and a beautiful addition to everyone's interior.